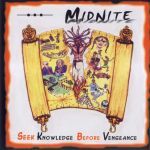 Midnite has unleashed another crucial set of songs their fourth album to date: "Seek Knowledge Before Vengeance". Recorded in St. Croix at their Afrikan Roots Lab studio, SKBV clearly represents Midnites finest work to date. The 13 tracks included on this album personify raw roots music at its best. Solid base-line rhythms are interlaced with the haunting voice of lead singer Vaughn Benjamin, whose potent lyrics penetrate deeply. 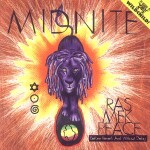 The album starts off with an exuberant "horn" intro on the title track courtesy of Midnites keyboard player and musical director Ron Benjamin. Ron also sings lead vocals on the roots ballad "New Life", written in celebration of the birth of his son. But it is brother Vaughns incredible lyrics which make Seek Knowledge Before Vengeance an incomparable roots album. "Sometime the bitter is a healing. Sometime the ground come like a ceiling. 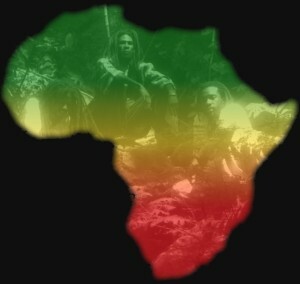 Rasta bruk it down low to build it high, until them site up tafari" proclaims Vaughn on "Ras For A Reason". "You Dont Know Me", "Dagger Man" and "Urt" are some of the other tracks on this album which simply blow this listener away. On the killer selection "One Shout" Vaughn declares "I put submission hold upon the mic, tell it we ago do almighty work yah tonight. Feed all the hungry please". From start to finish, Seek Knowledge Before Vengeance embodies the kings music to the fullest. The vibe emerging from this musical quintet is as astonishing as any music coming from yard. 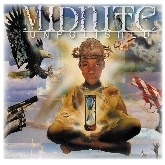 To those who think that conscious roots music is dead, beware - The dawning of Midnite has come.